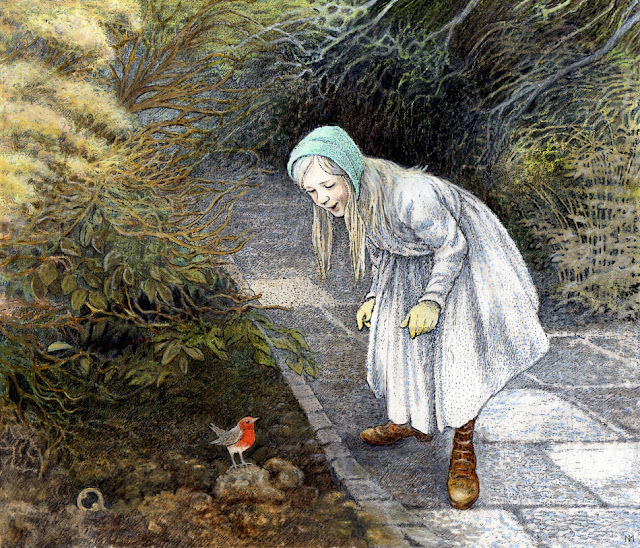 "The robin flew from his springing spray of ivy on to the top of the wall and he opened his beak and sang a loud, lovely trill, merely to show off. Nothing in the world is quite as adorably lovely as a robin when he shows off - and they are nearly always doing it"
~ Frances Hodgson Burnett, 'The Secret Garden'. It's so good to be back with an 'In A Vase On Monday' post again after what seems quite an age and what else could I return with in deepest January but snowdrops. This morning's poor light and breeze were not conducive to taking photos but it all added to the occasion. 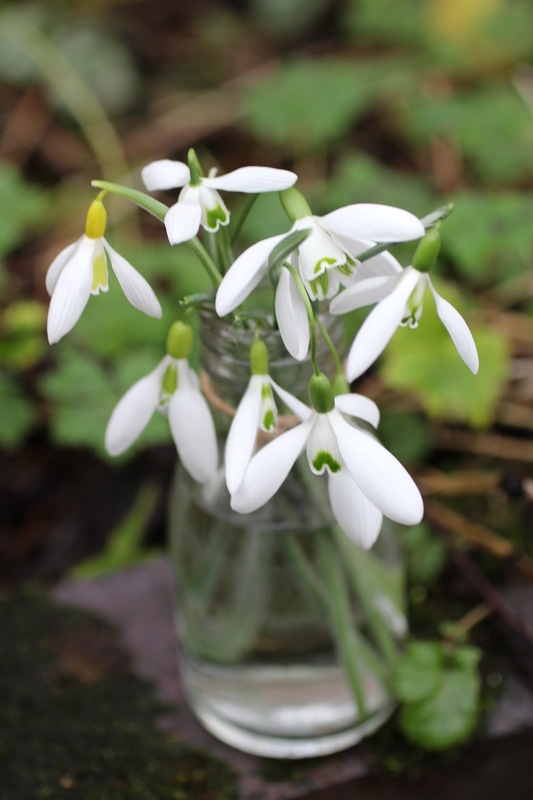 In my vase this week are a few blooms taken from some of my special snowdrops. They include galanthus elwesii 'Fieldgate Prelude', galanthus plicatus 'Wendy's Gold' (yellow-green ovary and yellow-green marking on flowers), galanthus 'Benton Magnet', galanthus 'John Gray', the large flowered galanthus 'Mrs Thompson, galanthus 'Wasp', galanthus 'Lavinia' (a double) and finally galanthus 'Sutton Courtney' which has an lime green ovary. I think that there could well be a second part next Monday as more and more 'drops are opening by the day. Thanks as always to our most gracious hostess Cathy over at 'Rambling In The Garden' who is the inspiration behind this most gentle way of starting the new week.